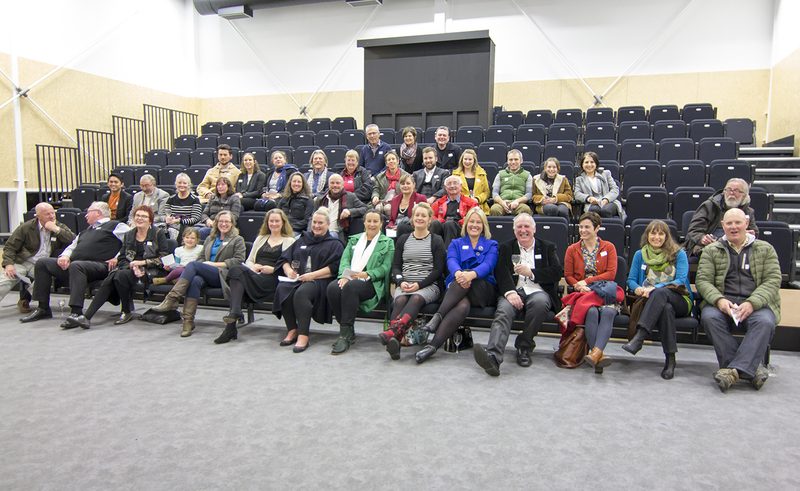 Back in 2015 we had a fundraising mountain to climb - raise $70,000 in six weeks to secure the retractable seating for the Lyttelton Arts Factory. Working with the Arts Foundation we launched a Boosted campaign to raise the money, and along with the incredible donations from many many people and organisations we offered you the naming rights to a seat in our new theatre for $1,000. Thanks in no small part to the following generous people who 'purchased' a seat we not only hit our target but exceeded it by $23,000! We've still got seats to name - if you'd like to support the Lyttelton Arts Factory in this way, with your donation helping to support our operational goals of theatrical performance, education & community. Get in touch with Darryl darryl@theloons.co.nz to discuss how your donation will help. Some of our AWESOME seat donors at a function in May 2016.